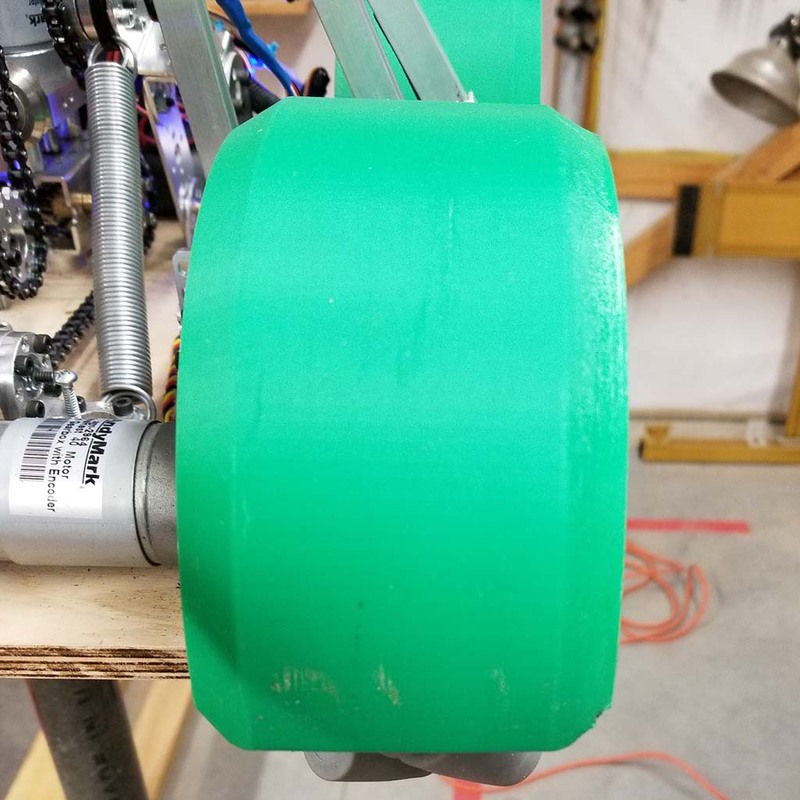 Fenders– as we were testing our newer and bigger wheels we got for our robot we discovered a slight problem. During a test run just driving around we were pushing blocks around and one of them we later realized was all torn up. 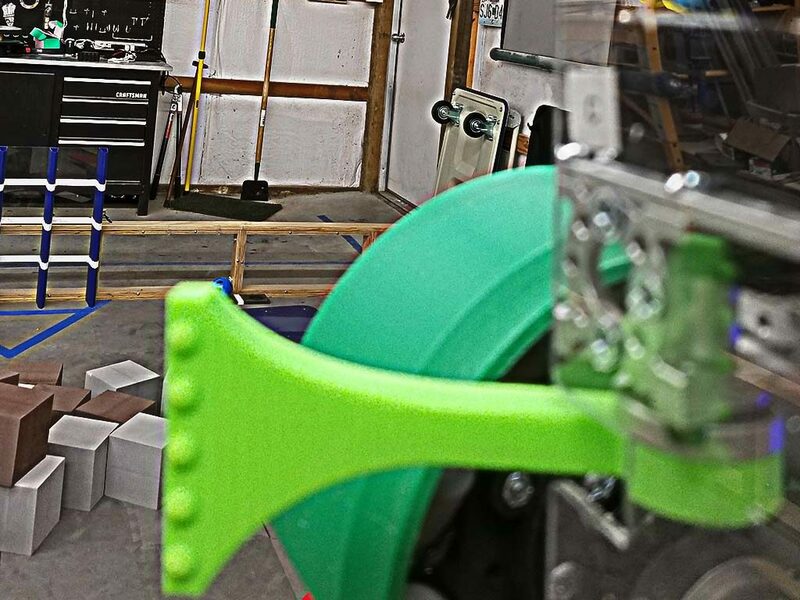 Once we realized it was the wheels doing the damage we printed some fenders. These fenders have been good to us and keep us from getting points deducted from tearing up the blocks. 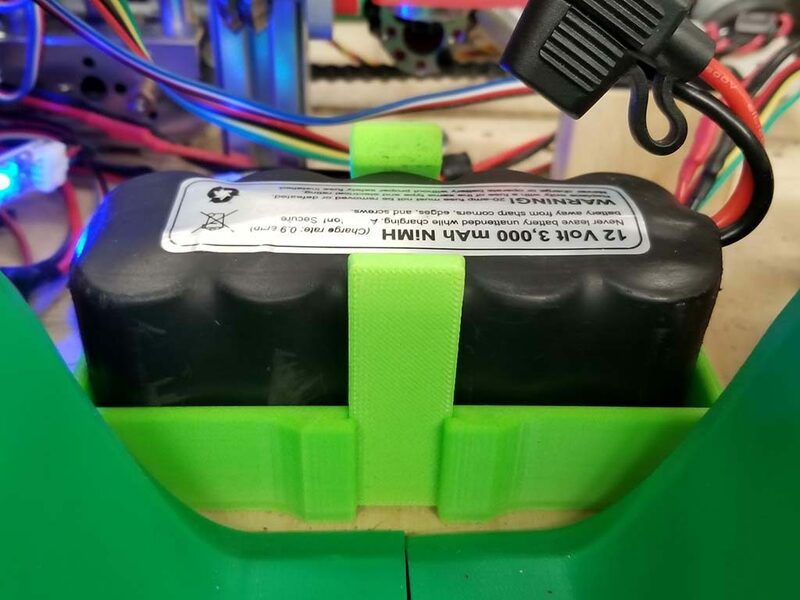 Battery Holder- with our printer one of the first things we made was a holder for our battery. As you see in the picture we screwed it to the base of the robot so it wouldn’t just be rolling around as we are running the robot. Grabbers/Arms– We have went through countless ideas for arms, each match we’ve been in has had a different set of arms. And we have changed them once again. 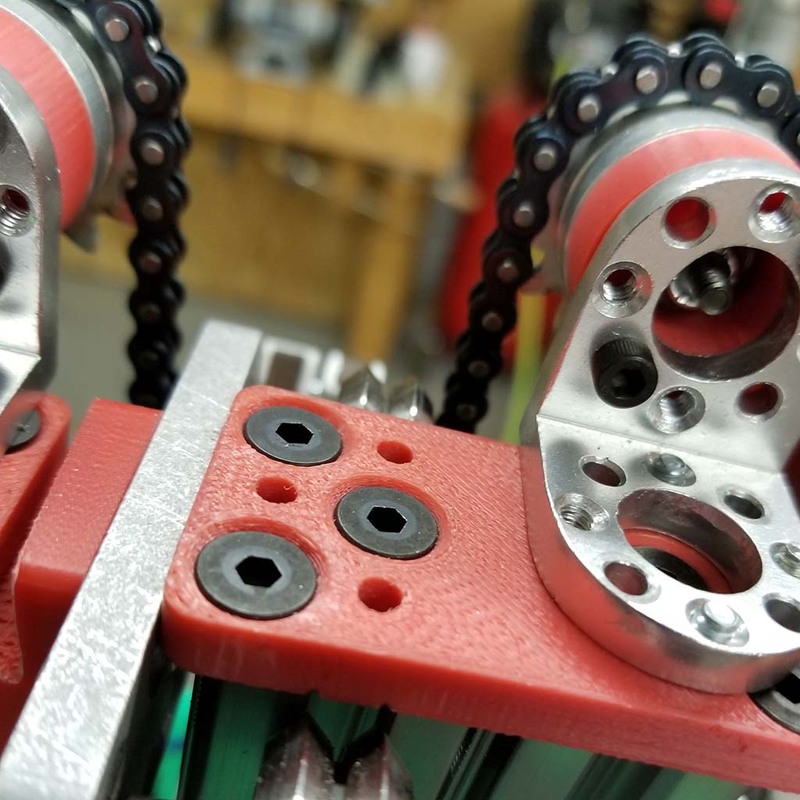 We have printed 4 separate arms that each run off their own servo. These arms have tested to work great on the field and hopefully help us to victory! 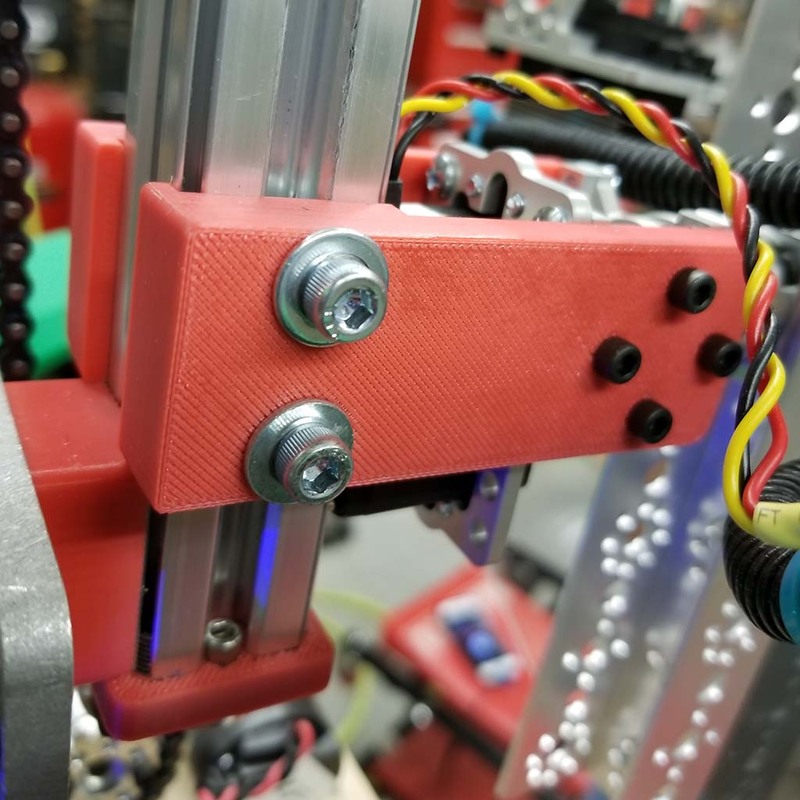 Other– We have printed countless of other parts to help our robot stabilize. 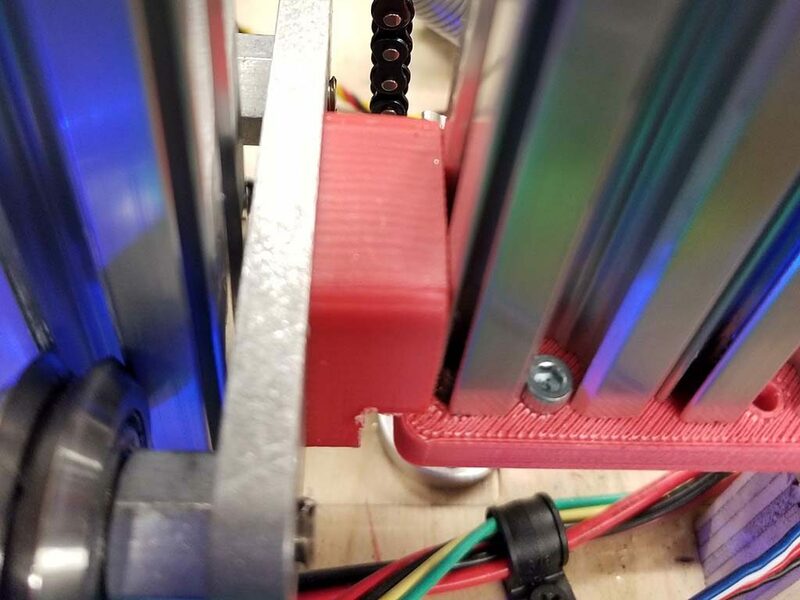 Instead of having to find right sized plates and drill the holes we need in them why not just print the parts? And print the parts we did. They help us attach and bolt parts to other parts, our arms for examples are partly attached by these printed parts.